Material Standard: ASME/ANSI : B16.47, B16.5, B16.9, B16.28, MSS SP 43, MSS SP 95. Rate Pressure: Class - 3000, 6000, 9000. We are successfully engaged in manufacturing and supplying a wide gamut of Socket Weld Fitting . We manufacture various products like Elbow, Tee, Cross, Full Couplings, Half Couplings, Cap, Plug, Bushing etc. Size: 1/8 NB TO 4 NB. 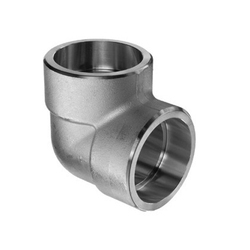 - Sizes available: 1/8" through to 4"
Pipe Fittings offered by us are widely used for connecting pipe ends and are available in various designs and sizes. 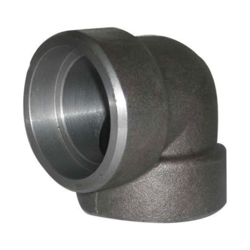 Our range of pipe fittings can be used in pressure as well as non-pressure applications. - We manufacture different sizes of pipe including 100 mm, 150 mm, 200 mm, 250 mm, 300 mm with length 600 mm.